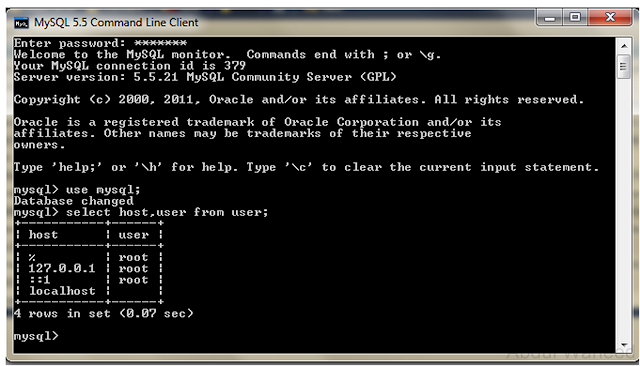 I have already updated about this in my previous blog but that was from UI, In this tutorial You can do the same task from MySQL client itself. Here’s an example of the output on my database. Now I’ll update the localhost host to use the wildcard, and then issue the command to reload the privilege tables. If you are running this command, substitute the hostname of your box for localhost. Now You are able to connect to mysql from any other machine using the root account. Thanks for suggesting and explaining all the steps user logon permission. You have also uploaded the tutorial that will help me to understand the complete process in a more clear way.